UNSW assists postgraduate researchers by providing a wide range of prestigious scholarships. These scholarships range from annual stipends, living allowances and tuition fee costs, to travel scholarships and supplements. 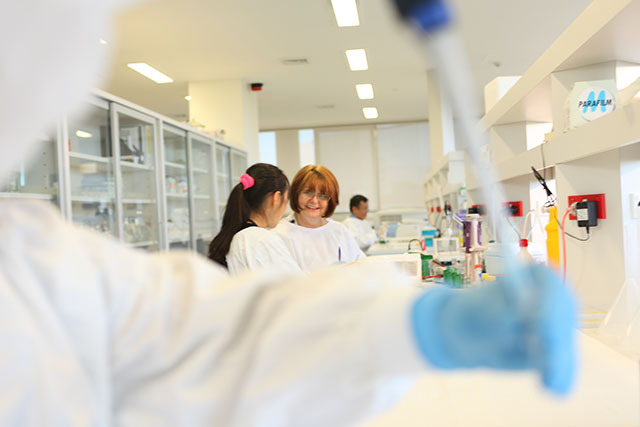 Scholarships are available to support current and new postgraduate research candidates at UNSW. Up to two Top-Up scholarships awards of $15,000 per annum are offered annually by the South Western Sydney Clinical School. Awards are paid for the duration of the PhD program (maximum of 3 years) and are merit-based. Scholarships will only be considered for new PhD candidates to the School. They have been successful in obtaining a competitively awarded scholarship that commences in the same calendar year- e.g. the Domestic Research Training Program (RTP)/ University Postgraduate Award (UPA) for domestic applicants or the International Research Training Program (RTP)/ University International Postgraduate Award (UIPA) for international applicants - to support their higher degree studies. They will commence a full-time PhD degree within the South Western Sydney Clinical School in the same calendar year. They are new PhD candidates to the School. Their primary supervisor is an academic or conjoint within the South Western Sydney Clinical School..
All PhD candidates who fulfil the eligibility requirements (as specified above) will be considered for the scholarship. No application is necessary. The number of scholarships offered will be no more than two each year and the School will have the discretion to offer none. Successful candidates will be notified by the School. Successful candidates must accept their RTP/UPA or RTP/UIPA offer and enrol in the PhD degree program according to the University’s enrolment guidelines in the semester the scholarship and top-up award are awarded. Potential PhD candidates who are interested in pursuing a PhD degree should investigate the Research Groups within the School initially. Applicants can also use the search engines on UNSW Research to find the sections and supervisors that best align with their area of research. All applicants must apply online for admission to a UNSW research program. The application guidelines are available from the Graduate Research School. Further information on the RTP/UPA and RTP/UIPA scholarships and other research scholarships is available on the Graduate Research School website. Please note the application guidelines and deadlines for these scholarships.